Carrying a good amount of cash with you is never a wise thing to do, and cheques are not always acceptable. With the coming of new age technology, this dilemma of our lives has come to an end. In the era of smart cards, money has a new physical form that makes it more portable and convenient. With the change in time we have shifted ourselves to credit cards from hard cash. While debit cards to have gained a lot of popularity, here is all you need to know about these plastic cash. Credit card is a mode of payment that requires the cardholder to pay at the end of a specific period once they have reached the limit. Cash back: Credits cards are a widespread mode of payment among shoppers, reason being that the user gets a fixed amount of cashback in the form of points and sometimes real cash (more on the same later) on every transaction. Interest rates: The interest rate differs from bank to bank. Every bank has different interest rules. The delay in payment adds penalty to your net payable amount. First-time reward: There are a few credit card providers who offer a specific amount of reward or gift to the first-time credit card users. The rewards are usually in the form of points which can be redeemed later and sometimes gifts like free shopping vouchers too. Additional charges: In some cases you may be liable to pay additional charges such as international transaction fees, account-keeping fee, cash advance fees, etc. Find out if the credit card you plan to choose comes with any of these charges. If yes, make sure the charges aren't too heavy. Rewards: Some credit cards do a discount on purchases you make. Every transaction through your credit card offers you points that you can be later redeemed. Cash Withdrawal: There are a few credit cards that offer you the privilege of withdrawing cash. This turns out to be a boon in times of emergency. But it is advised to go through the terms and conditions well, as the interest rates may be exceptionally high for cash withdrawals. One needs to fulfil the following eligibility criteria before being issued a credit card. Before applying for a credit card, make sure you have the following documents with you. These are the most essential requirements that need to be shown. Proof of residence - Rent Agreement, Bank Statement, Ration Card, Electricity Bill, Telephone Bill, etc. Age proof - Birth certificate, Voter ID card, Passport, etc. Income proof - last 3 month's salary slips or latest ITR in case of self employed. With the market blooming with coveted offers and discounts, the credit card companies do their best to lure more and more customers. They come up with exciting offers that increases their popularity and brings them more customers. Some of the best credit card companies are HDFC, ICICI, American Express, SBI and Citi Bank. All these have different policies and different benefits. It is advisable to compare the offerings of all the credit cards and apply for one according to your needs or may be multiple if need be. We advice our users to have atleast 2-3 cards so that various online and offline shopping promotions which card companies offer can be availed. This comparison is not feasible if you plan to visit each of these banks and finding out about their guidelines. To make things easier, here is for you GoPaisa that makes you compare the offers and details of different credit card companies. You can compare different credit cards within a few minutes by simply choosing the desired credit card provider. All their offers, rules and regulations appear on your computer or mobile screen without any hassle. GoPaisa is the most trusted website that offers you genuine details for each and every credit card provider. This is that one place that allows you to make comparison between different credit cards before applying for one. This simple yet accurate comparison technique at GoPaisa helps you get great deals and credit card offers. GoPaisa keeps updating its credit card deals regularly to help you choose the one that suits you the best. If you ever feel that the offers on the GoPaisa page are not what you have been looking for, then visit us again and we will not disappoint you. Q. Why should I get a card when I always carry money to shop? A. While you may be full of cash, but did you know you get interest free period of 20-50 days from the day you start shop to the day you actually pay your card bill? In the meanwhile your money can comfortably sit in your bank account and earn interest. If this is not enough, you also earn additional bonus reward points and cashbacks on all your expenditures, which can total up to 1-5% of total expenses. Last but not the least, you also get year round special offers. 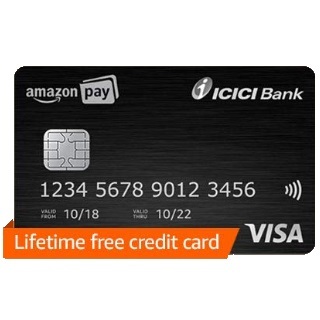 Who can forget those amazing Amazon, Flipkart, Snapdeal and more card specific offers which you always miss because you don't own a credit card. We have seen card users amount starting from Rs.8000 to a lakh depending on their spending habits. Q. How do I know the payable amount? A. Your credit card statement clearly mentions the amount to be paid. There are 2 types of payments which you can make: 1.Minimum amount due and 2.Full Payment. We advice our users to take the second option whenever possible. But in case of emergency card users can take option number one i.e. Minimum amount due, but in that case interest will be levied on current month's and next month's outstanding amount too. Hence one should choose wisely. Q. Is there a way to increase or upgrade my credit card limit? A. You can get your credit limit increased by simply handing over a written application. But you need to be a card holder for a minimum of 6 months to 2 years (varies from bank to bank) before applying for an upgradation. Q. What do I do when I cross the credit limit? A. If you happen to cross the limit on your credit card, you will have to pay over-limit fee. Q. Can the reward points be used to buy what I want? A. There are a number of credit card providers that offer you the freedom to redeem your points in whichever way you wish too. Though there are a few who allow you to redeem your points for a specific gift or cashback.